The real estate market has transitioned. A boom market for five years to a declining market over the past two years. It is a fair question to ask, what is the best method of selling real estate? Does auction still reign as the predominate method of sale? Auction clearance rates across Australia’s major cities continue to dip below what we were seeing at a similar time two years ago. Are auctions still the best way to market and sell your most precious asset. Auction clearance rates are now at around 50%, down from the heady days of an 80% at the peak of the market in June 2017. The benefit of an unconditional sale for a vendor has always been paramount. With an auction there is no subject to finance clause, no cooling-off period or any other conditions that tie vendors up for periods of uncertainty. In the current market, with some vendors unable to obtain finance or shopping around for the best deal, securing an unconditional sale has an even greater imperative. A common misconception of the auction process is that if not sold on the day, the auction is a failure. We challenge that notion. Auction has often been described as a three-stage process where you can sell before the auction, at the auction or after the auction. Whilst this is true, a sale before auction should always be treated with extreme caution. First, you need to secure an unconditional sale. Secondly, as the vendor or vendor’s agent, you need to be assured that the price accepted is the best that will be offered, within the predetermined marketing period. 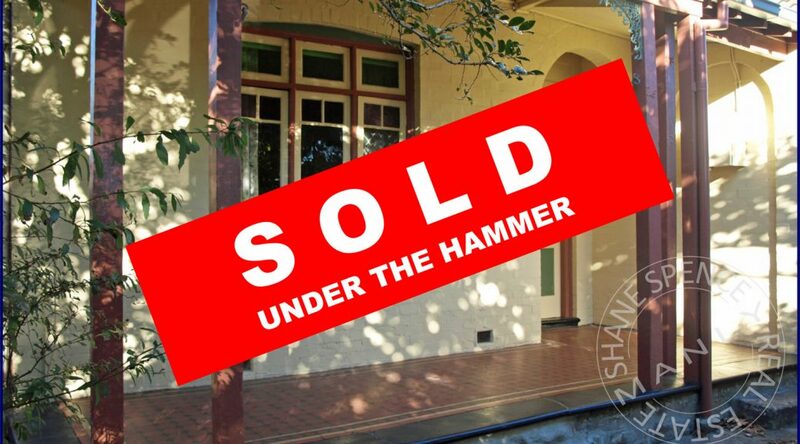 Trying to secure an early result, may rule out many prospective purchasers. Some, who may ultimately be better financed but who still need to cross their t’s and dot their i’s. Another of auctions great advantages is that the vendor’s agent gets to control the timing of the sale and pace of negotiations. This advantage is lost in private treaty methods of sale. Difficult to master with other methods such as tender or expressions of offer. The not so subtle art of smoke & mirrors often frightens off wary buyers. Control the process, don’t let the process control you! New legislation around price guides has brought greater transparency and more certainty to the auction process. We believe this level of transparency needs to be elevated to the next level. Provide potential purchasers with free copies of pre-purchase building reports or Strata Reports (in the case of strata titled units). Even if your property has issues (which nearly all properties do), it is better to control the information flow to purchasers. The alternative is that they have control of vital information of which the vendor may be unaware. Providing information is the best way to disarm purchaser’s concerns and gain their confidence in proceeding through with the sale. In a down market prospective buyers perceive private treaty sales as being “Open to Offers” and being over-priced. This may result in prospective buyers making wildly low opening offers, from which there is no way back; or sitting out of the market waiting for your asking price to fall. If a vendor is on the market at auction, they are a genuine willing seller prepared to meet the market; as opposed to a passive seller. We all like to deal with genuine people. Sales agent for Di Jones on Sydney’s Lower North Shore Nicole Grady-Combess says people ask her about different selling methods and a lot of agents try to get in through off-market. “Last year, vendors had high expectations about what they could get for their property, and buyers had much lower expectations. Now there is data, which buyers and sellers can’t argue with. The distance between their mentality has significantly reduced,” she says. Ultimately the objective of any marketing campaign is to achieve a sale of the property at the best available price. Even if the property is passed in at auction, chances are it will be sold to someone who was introduced to the property during the auction period. Shane Spence the Licensee In Charge of Shane Spence Real Estate on Sydney’s Northern Beaches says, successful purchasers often find the property in the first two weeks of marketing. Measuring the effectiveness of auction v other methods of sale is difficult. Whilst auction statistics are updated regularly there is less evidence available for other methods of sale. Anecdotally however, it is clear that many private treaty sales have floundered. Vendors have been forced to adjust their prices in order to attract disinterested purchasers. Auction continues to allow the vendor to be on the front foot. Vendors who auction their property dictate the terms of sale. Even at 50%, auctions are achieving a strong result in just four weeks. Whilst many more are being cleaned up a week or two after auction.